THE luminous yellow sliotar used in last weekend’s Fenway Hurling Classic is expected to become standarised by the GAA. The ball, manufactured by Green Fields DST - a company registered in Kilkenny - contains a readable chip in the core to facilitate pitch-side verification, confirming that the ball complies with standards. It is anticipated that the new ball will be used in all games under the auspices of the Central Competitions Control Committee, although there is no date set yet for its introduction. Notably, the sliotar is luminous in colour with red stitching, aimed at making it more visible than the standard, predominantly white balls. Currently, the GAA license a number of different manufacturers but a pronounced variation in performance has prompted Croke Park to examine bringing the balls into line under stricter guidelines. Key to that aim is the microchip implanted into the core of the sliotar used in Boston, an insertion that can be scanned with any android mobile phone. The device will then verify the ball’s provenance and authenticity. Currently, sliotars must comply to certain central standards regarding size, dimensions and weight although there is no restriction on colour. The company, who are about to go into full production, consulted a number of studies – one which led to tennis balls being changed from white to yellow for the 1986 Wimbledon tournament - that showed how a yellow ball was significantly more visible than a white one. They also concluded that red stitching created maximum contrast against the fluorescent yellow for enhanced recognition. However, it is the certainty over performance that is at the root of the GAA’s wish to establish uniformity with their sliotars. A study conducted 12 years ago revealed that when pucked out at full capacity the Cummins-brand ball travelled 13 yards further than the O’Neills one. Currently, inter-county teams are allowed to nominate their preferred brand, with Championship matches then played with a set of both balls, which is the past has led to some flashpoints and controversies. 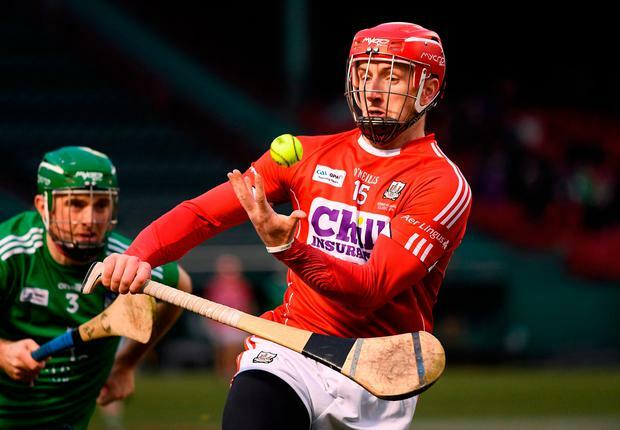 “As long as there isn’t a standard sliotar, go to any goalkeeper, or any player, and they will still bring their own,” said Donal Óg Cusack last year after one such issue during the Munster SHC final when a bag of sliotars in the Cork goalmouth had been taken by an individual dressed in a Clare tracksuit and thrown into the crowd during the national anthem. “And every club in the country is at it too. “You are calibrated to the ball you are using. And if you puck out one ball, the ball coming from the other side could be totally different. It is not yet known, however, when the new sliotars will be brought into official use by the GAA. providing they use the standardised core. “It’s a painstaking process,” Daly said last year.